With over a 20 years of experience, helping delegates to achieve their potential. 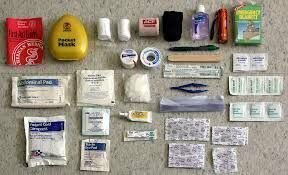 Practical and online first aid training empowering you to help in an emergency. As a first aid trainer / assessor and IQA and a independent provider of non-regulated and fully regulated first aid courses; offering outstanding training for groups and individuals at your venue or mine. Being highly experienced health and emergency services professional who regularly uses first aid in the real world, i can tailor the training to your needs and empower you with confidence to give immediate and appropriate first aid in an emergency. 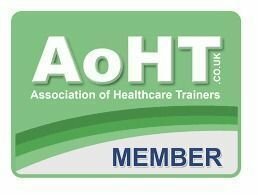 As a first aid trainer / assessor and IQA I am able to offer any first aid training courses tailored to your specific needs. 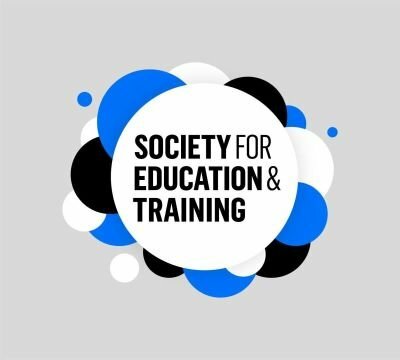 My most popular courses include the intensive one day Paediatric First Aid training to meet Ofsted requirements as well as fully accredited and regulated EFAW full day courses and short courses for Emergency First Aid and babies and children. I run specific courses for all sorts of sports organisations, schools, nurseries and health professionals. I also have specific courses for carers of adults and teenagers and will adapt these entirely according to your requirements. 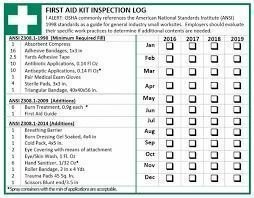 Like The Red Cross and St John Ambulance, I am fully regulated to provide the HSE qualifications. My regulation is through Qualsafe Awards to provide accredited qualifications. As an independent provider I am able to teach in small groups with varied course content adjusted to be totally relevant to your needs. My paediatric courses fulfil Ofsted criteria and I have run bespoke courses for groups and have scheduled courses for individuals. All courses are tailored to your needs. I will help you retain your skills and knowledge: You will receive a comprehensive first aid manual, regular updates and a reminder when your certificate is about to expire. Language support is available for those with English as a second language and our online learning options enable you to easily update your skills. I have practical, online and blended learning options. Whether you book a course with Myself , St John’s Ambulance or The Red Cross, your certificate is equally valid. 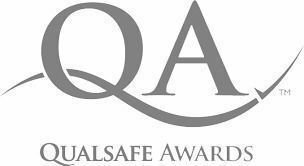 I am fully regulated through Qualsafe Awards to provide Level 3 HSE and Ofqual courses and approved IQA. Trainers are Nurses or Emergency Services Professionals who use their First Aid on a regular basis. 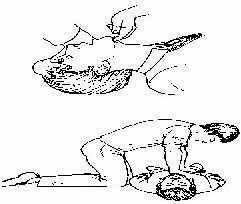 They are also highly experienced and proficient First Aid trainers. 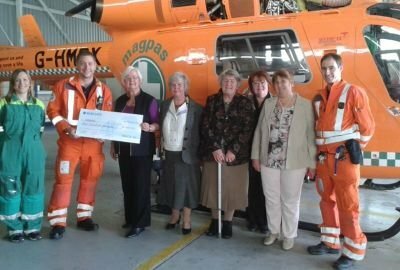 My courses are extremely practical and are held in small groups to give you individual attention and help you to feel confident and competent that you would know what to do in an emergency. I do not teach by rote, but will help you to understand the necessary priorities when treating someone, so that you will be able to think on your feet logically and safely. There will be ample manikins, so no waiting around for others to finish and I am happy to teach adult, baby and child First Aid on any of the courses. The course content will be adapted to your needs, I will listen to your work or home concerns and ensure that all the areas you wish us to cover are included in the course. Your Certificate will be awarded on the day for non-regulated and within 7 days for regulated courses. I value your time and wish to ensure that you both enjoy the course and learn effectively in a calm and relaxed environment, with extremely well-qualified trainers who are able to answer your questions and teach beyond a prescriptive syllabus. Instant ice pack – at home you can use a bag of frozen peas – Ensure it is wrapped in a cloth as it can cause ice burns. If you’re attending one of my other scheduled courses, including Emergency First Aid – All Ages (3 hours) or Paediatric First Aid (1 day), you will be awarded your Emergency or Paediatric First Aid Certification on the day, this certificate is valid for 3 years (although an annual refresher is recommended).These certificates include verifiable CPD where appropriate. The Paediatric First Aid certificate states that you have completed the Paediatric First Aid Course covering the topics specified by Ofsted and fulfilling Ofsted requirements for Child Carers. This is the certification required to register with Ofsted. My Blended learning (6 hours online through email and 6 hours practical) enables us to award the 12 hours Early Years or Paediatric First Aid Certificate as specified by Ofsted for those looking to register on the compulsory Ofsted Register. Your certificate is valid for 3 years. 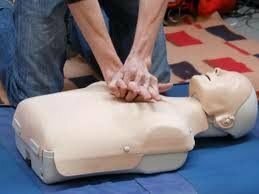 I also offer Annual First Aid Refresher courses to give you the confidence that your knowledge and skills are up to date. AED certification is only valid for one year. In addition to my practical courses, I offer Online and blended First Aid courses through email, where you can learn vital skills and extend your first aid knowledge from your smart phone and mobile devices in your own time. 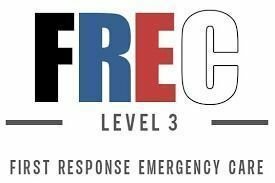 These courses fulfil the requirements for those needing the Appointed Person qualification or serve as an Annual First Aid Refresher as recommended through the HSE. The blended learning allows you to complete the learning at your own time and pace and then be assessed on the practical elements by one of my trainers. Everyone love babies, but unfortunately my training venue is not set up for them to attend with you. I can come to you. If you would prefer to have your baby with you on the course, we would be delighted to run a course for you and a small group of friends at one of your homes with your little ones present. 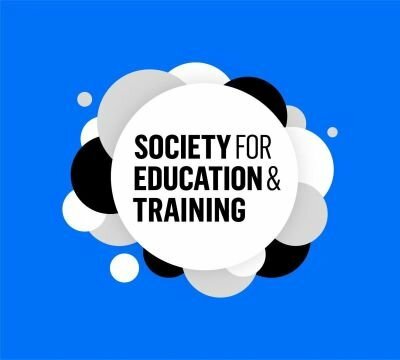 I offer a superb blended learning option for those who require the 12 hour Paediatric First Aid qualification that fulfills the criteria for the Ofsted Early Years First Aid certificate for the Compulsory Ofsted Register. 12 hours learning time includes 6 hours online pre-learning on your computer or mobile device sent via email and then followed by 6 hours on one of my practical training courses. My Business is fully regulated and approved through Ofqual and Qualsafe Awards. The quality of my training and my customer service is second to none, my trainers are highly qualified Health and Emergency Services Professionals who use their first aid on a regular basis and are highly experienced and proficient first aid trainers. 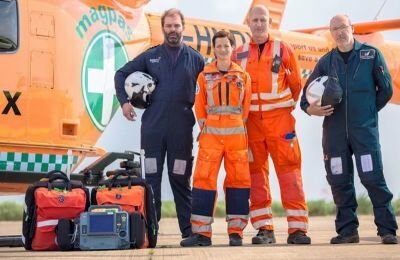 My courses are extremely practical and held in small groups so that everyone can receive individual attention to ensure you feel confident coping with a medical emergency. 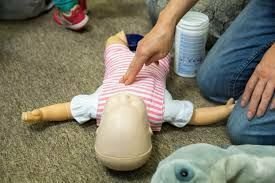 I have ample manikins and practical resources available, so you won’t be waiting around for others to finish and are happy to teach adult, baby and child first aid on any of the courses. All my courses comply with the very latest Resuscitation Council Guidelines. 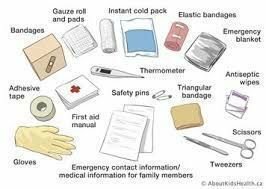 My EFAW courses include more content than other First Aid Training businesses as I cover Head and Spinal Injuries, Heart Attacks, use of a Defibrillator, Asthma and breaks and sprains in addition to the full HSE syllabus if needed. The course content will be tailored to your needs, so that you leave equipped with the knowledge and skills to deal with situations that particularly concern you. I am happy to cover adult, baby and child First Aid on any of our courses. I am also able to offer blended learning options through email. 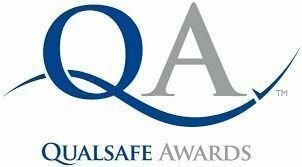 Assessor/Trainer & IQA Consultancy is fully regulated through Qualsafe Awards, Ofqual and the QCF framework and your non regulated certificates will be awarded on the day and accredited certificates will be with you within a week of the course. Please visit my scheduled dates page where you will find everything you need to know about my courses – available dates, times, prices, location. Once you have found the course you would like to attend, complete the form with your details and submit, and i will be back in touch with you to confirm your booking and course. To book a group course at a time and place to suit you, please just complete the form will all your requirements and submit and i will get back to you or alternatively please contact me on 07484 118 034, and once confirmed you will be able to pay by bank transfer. Yes, all of my trainers are DBS checked and certificates are verified on a regular basis. We are regulated by Qualsafe who provide approval on behalf of the Health and Safety Executive for Emergency First Aid at Work and First Aid at Work courses. All my trainers are annually moderated and regularly verified and have a formal teaching qualification. 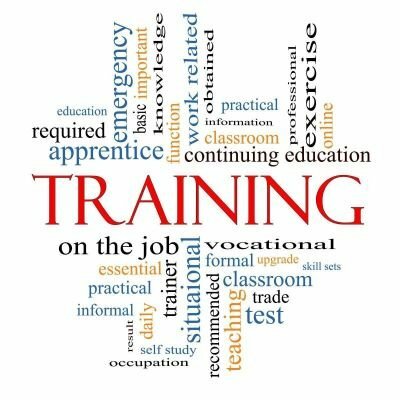 In addition I offer regular updates and up skilling sessions for the team and require that all my trainers have used their skills in real life situations and are experts on the subject of first aid and related topics. All trainers are required to keep an update CPD (Continued Personal Development). My scheduled Emergency First Aid at Work (EFAW) 1 day courses are accredited and regulated practical courses that meet the First Aider requirements of all workplaces with less than 50 employees with low to medium risk and for larger and higher risk businesses to support other First Aiders. Because of the additional areas we include within my training if needed my courses offer a far better training for sports professionals and anyone else needing a first aider who is able to assist with someone having a heart attack, head injury or asthma attack. 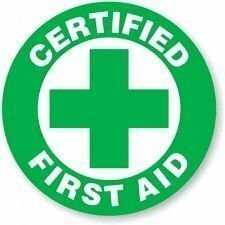 I also offer the full First Aid at Work (FAW) 3-day and 2 day refresher courses for groups and individuals. 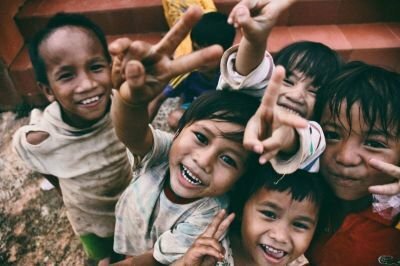 Feel to support the underprivileged young and disabled persons i offer FREE first aid training as so they can obtain a qualification in First Aid.